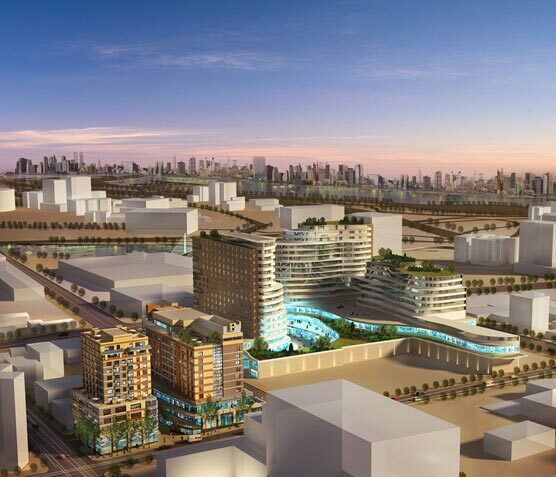 While the Willets Point mega-project is nearing construction, progress is also imminent at another major assemblage across Flushing Creek, dubbed Two Fulton Square. The images come from architect Margulies Hoelzli’s Archinect page, and the site is apparently being developed by the F&T Group, which is also behind the recently-opened One Fulton Square. Two Fulton Square will be constructed in two phases; the first will include a 220-unit condominium building, and another tower with 150,000 square feet of office and retail space. The second phase will have 200 condos, a 200,000 square foot commercial component, and a 240-key hotel. Margulies Hoelzli’s website has additional information. The new plans follow completion of F&T’s One Fulton Square, which Margulies Hoelzli also designed; that project, which is one block away, totals 346,000 square feet. 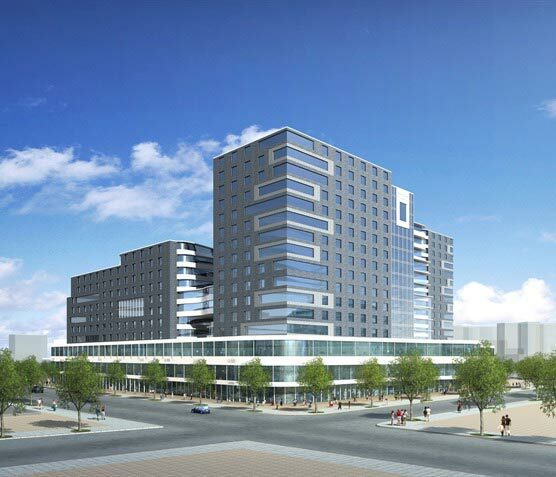 It includes 43 condominiums, a 10-story and 168-room Hyatt Place, and a three-story retail podium. Two Fulton Square will be significantly larger, and will nearly occupy two entire blocks. 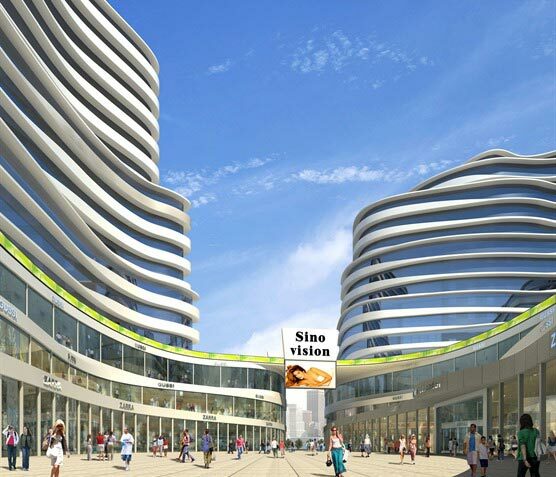 The retail podium will dominate the street-scape, though cut-throughs will open up the entirety of the site to pedestrian access. Margulies Hoelzli’s plan will be a major improvement compared to the parking lots and low-rises that are currently on-site, and multiple levels of outdoor space will activate the development’s significant retail component, energizing the surrounding neighborhood. Buildings will appear drastically different depending on the viewing perspective; from the west, the development will seem rather monotonous, but other vantage points will reveal undulating and dynamic structures atypical of new construction in Flushing. 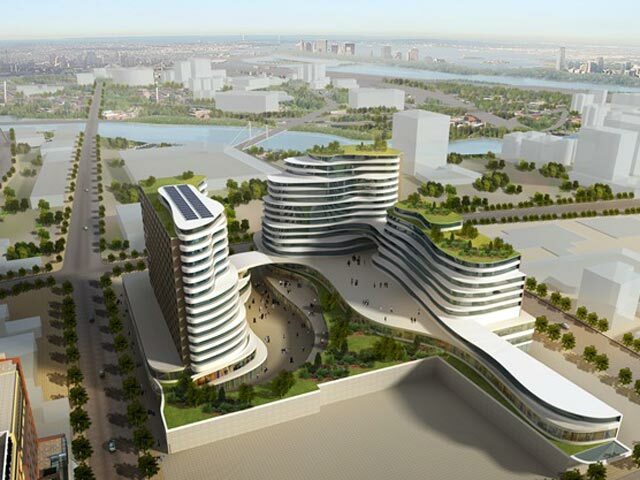 Elevated parks will be interspersed throughout, and solar panels appear to feature prominently atop the high-rise component. Willets Point’s redevelopment presents a significant opportunity for Queens, and while a starchitect may not be attached to Two Fulton Square, current plans for the site are nevertheless impressive, and promise to revitalize a stagnant area of Flushing. No completion date has been announced — and an initial new building permit at 37-19 College Boulevard was disapproved last year — but with work wrapping up at One Fulton Square, progress appears imminent.